Besides behind the couch, under the refrigerator and the back of the closet — there are many places throughout your home that rarely show up on your cleaning to do list. Truly freshen-up your home with these helpful deep cleaning tips, or hire a professional cleaning service for a thorough, affordable floor-to-ceiling clean. Hard to reach places, like above the fridge or behind the washer and dryer. While it takes extra time and effort to work around these big appliances, cleaning out all the dust and dirt that gets trapped there goes a long way to ensuring your home is truly clean. If you don’t want the hassle, many professional cleaners include this task with their cleaning packages. Frequently touched items, such as door knobs, light switches, TV remotes, cell phones and the computer keyboard and mouse. These are touched hundreds of time each day and collect germs and bacteria, and rarely get cleaned thoroughly or frequently enough. A quick swipe with a disinfecting wipe is an easy way to stop germs and bacteria from accumulating. Appliances such as your toaster, microwave and coffee machine. These smaller appliances come into contact with food and grime daily, yet they are often the last things to get scrubbed down. Most air vents trap dust and allergens. 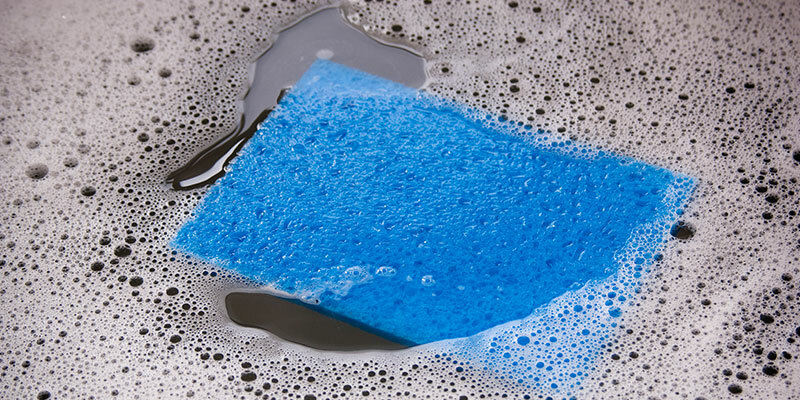 Clean them and change filters for a healthier home. Kitchen and bathroom drawers collect fallen crumbs and sticky messes. Empty and wipe them out monthly. Window and door frames and window sills need a good dusting or vacuum every once in awhile. Ceiling fans and light fixtures. A layer of dust frequently settles on top of these fixtures. A good way to dust fan blades is to use an old pillowcase, so that falling dust is caught in the pillowcase. Baseboard and crown molding. Dust and polish these annually for a finishing touch. Professional cleaners know all of these trouble areas and more to target for a deep spring clean, any time of year, so that not a single spot in your home will be left untouched. For more information about deep cleaning, please contact the cleaning specialists at Clean Corners or call our office directly at 616.431.4670.